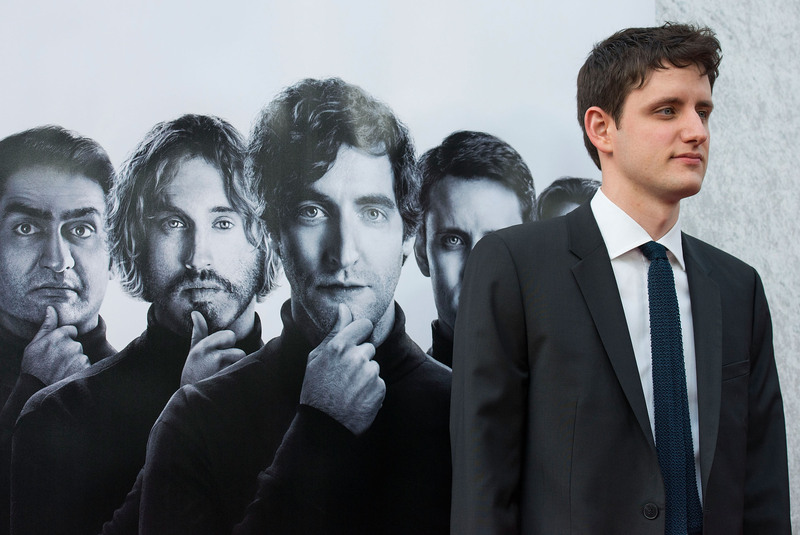 Candy-craving zombie, an ersatz Abe Lincoln, and creepy Office beau are just some of the roles Silicon Valley co-star Zach Woods has filled. The actor and improviser, who got his start at the famed Upright Citizens Brigade Theater at the young age of 16, currently plays Jared as part of the cast of Palo Alto tech nerds. But who was he before he was slinging code on a sitcom? Audiences will best recognize Woods from his role on The Office as Gabe, Erin's post-Andy rebound beau, who possessed a penchant for horror movies and was frequently mistaken by the children of Scranton for Abraham Lincoln. He's also popped up on the silver screen, with roles in the British black comedy In the Loop, as well as the Bullock-McCarthy buddy cop picture The Heat. Woods has also had several memorable guest spots on other shows, including Lane, the scarf wearing hipster charity DJ whose presence is so insufferable he inspires a "friend-off" pass on The League. He also played Ed on Veep, which means he's pretty adept at playing weirdos who make you uncomfortable for some can't-put-your-finger-on-it reason. While there's a lot you already know, here's some things you might not have heard about Silicon Valley's newest resident, and our favorite awkward boy on the internet. "You are boring me to death and I am already dead." We thought it would be hard to top the non-Scottish Scotsman, but we were so very wrong. Before he was popping up on television, Woods was doing the internet sketch thing with his series Most Awkward Boy in the World. Other awkward entries include kissing a girl, riding the subway, and enjoying a hot tub. Another classic from the early era of Youtube sketchery* highly recommend staying till the ending for the twist. *(Yes, yes we're all old now. Also remember when we had attention spans totaling up to three minutes? BRB gonna catch some Vines). While he's no Creed, Gabe Lewis does have his share of delightfully strange lines from the show. Something about a clearly weak man teetering between aggression and attempted, (often creepy), tenderness feels uniquely funny. Double dare anyone to use "sexual touching" in a pick-up line. ...you know, if you're into an awkward spooky Abe Lincoln sort of vibe.